Two weeks to live. This is what doctors told a longtime, christian friend four weeks ago. During those four weeks, I have found myself questioning how to even pray. Since he is in a lot of pain, I have prayed for comfort. But I have also found myself thinking God has a plan and obviously our days are numbered. So is there any point in praying for the healing of a man who is suffering and doctors say has very little time left to live? Satan had planted the seed in my heart and mind that there was no reason to pray for anything more than comfort in his last days. 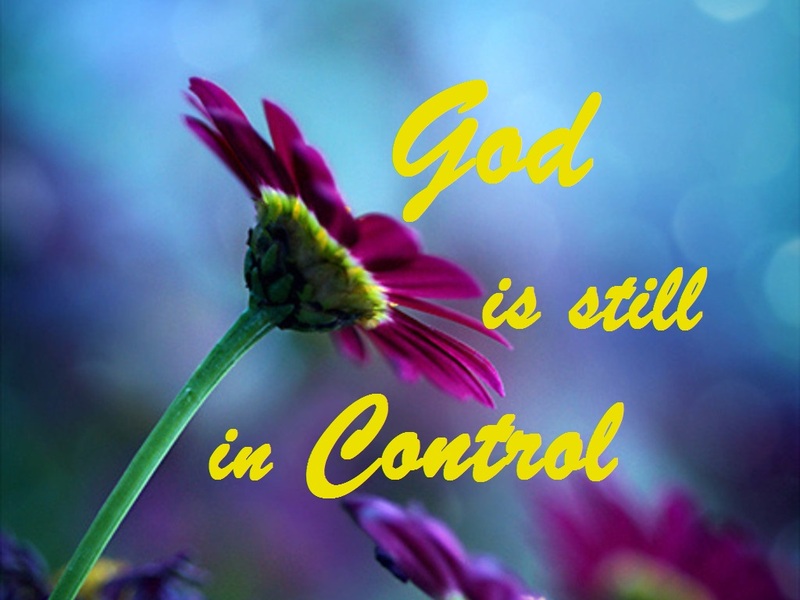 Today, God showed me that He is still in control, and, yes, He does have a plan. But just because doctors have numbered a man’s days does not mean that God is finished with him. I also realized that my attitude has been one of little faith. Did Hezekiah’s prayer change God’s mind or was this part of His plan all along? I don’t know, but I do know that God wants to hear our prayer and he wants us to be persistent in seeking His will. 1 John 5:14 says, “This is the confidence that we have in approaching God: that if we ask anything according to his will, he hears us.” There are other examples in the Bible similar to Hezekiah’s where God changes His plans as a result of someone’s prayer. Ultimately God is in control, but our prayer can effectively bring about results when our true desire is for God’s will rather than our own. Satan wants us to lose heart in the power of prayer. He wants us to be discouraged so that we don’t recognize and utilize the power of our prayers. James 5:16 says, “The urgent request of a righteous person is very powerful in its effect.” Hezekiah’s prayer was urgent and God’s answer to extend his life was just what Hezekiah had requested. What if Hezekiah had given up and hadn’t prayed as he did? I’m sure the outcome would have been different. Just because the circumstances seem hopeless doesn’t mean we should give up. Lack of prayer demonstrates a lack of faith, but persistent prayer shows an absolute trust in God. Pour out your heart to God. Make your requests known to Him and seek His will. Don’t believe Satan’s lie that your prayers don’t matter. 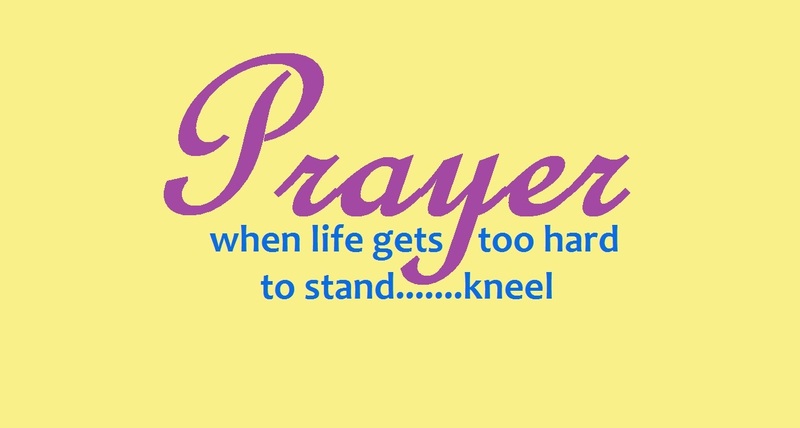 When things are out of your control, pray as if every aspect of the situation hinges solely on your prayer. It may be just the one God is waiting to hear! With my own children and even the students in my classroom, I’ve realized that children often interpret the answer “maybe” to mean “yes”. They don’t consider the possibility that “maybe” could result in a negative answer. They often start anticipating the event or object for which they have asked even though they haven’t actually had that request confirmed. Unlike children who assume “maybe” means “yes”, Christians usually interpret God’s “wait” answer to mean “no”. When things don’t happen as quickly as we would like, we get antsy and decide to take matters into our own hands. Such is the case with Sarah, the wife of Abraham. She had waited many years for a child, and finally assumed that God’s answer was “no”. Afterall, she was well beyond child-bearing years. Like so many of us, Sarah devised a plan to create the family she wanted so badly. She convinced Abraham that they could have children through her maidservant, Hagar. Things did not go as smoothly as she hoped, and Hagar began to despise Sarah. The family she desired did not happen as Sarah had planned, and the situation actually lead to much turmoil for all. Like Sarah, we have a tendency to take matters into our own hands when we don’t get answers as quickly as we would like. What Sarah perceived as a “no” from God was actually a “wait” answer. Later, God announced to Abraham that he would finally have a son by Sarah. Genesis 17:17 says, “Abraham fell facedown; he laughed and said to himself, ‘Will a son be born to a man a hundred years old? Will Sarah bear a child at the age of ninety? '” They were old and had waited so long that it was difficult to believe. Sarah also laughed when she heard the news and questioned how this could happen when her body was old and worn out. God responded in Genesis 18:14 with, “Is anything too hard for the LORD? I will return to you at the appointed time next year and Sarah will have a son.” God doesn’t need our help! Regardless of how complicated things may seem, nothing is impossible for Him! Genesis 21:2 says, “Sarah became pregnant, and she gave a son to Abraham in his old age. It all happened at the time God said it would”. Regardless of their age, Sarah gave birth to Isaac at the age of ninety. She had waited a long time, but what she perceived as impossible happened just as God had promised. It’s hard to be patient and understand when we aren’t getting the answers we want, but we must remember that God loves us and wants the best for us. What we think we need or want isn’t always the best thing for us, and we may get a definite “no” answer. But in some cases we just have to wait for the right time. God has his own timeline, and He knows the perfect answer to every prayer as well as the perfect timing for those answers to be granted. Are you waiting for God to answer your prayers? Don’t give up, start to doubt, or take matters into your own hands. Remember Sarah and the blessing she received at the exact time God intended.